Even tough Iceland’s population is only about 340.000, the country is not that small. If you wants to see the most of Iceland’s stunning natural treasures you might need to spend a lot of time on the road. In Iceland there are no trains, subway or underground system, so getting to one location to another it requires you to take a taxi, bus or drive yourself. Iceland is at the wolds top 5 list of most car ownership. The reason for that is the bus system in Iceland is difficult to rely on since it runs infrequently and is expensive. Taxi’s are also very expensive and of course not the way of traveling between attractions outside Reykavik if you are not up to spend extremely lot of money. That’s why rent a car in Iceland is the most common thing. Traveler’s enjoy the freedom of being their own bosses, choose their visits and attractions and decide how long time they spend. 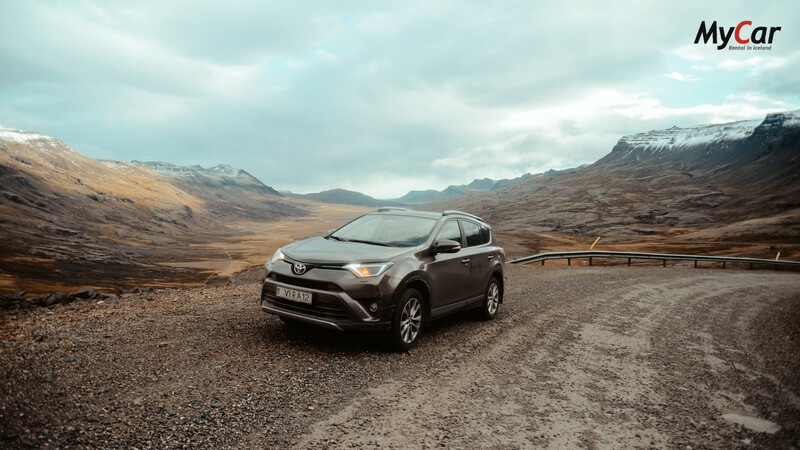 It you have booked your rental car in Iceland, it’s time to gather some important and useful information about driving in this unusual country. What might be acceptable in your country or culture might be prohibited in Iceland. In Iceland you will be driving on the right side of the road. The seed limit is between 30–50 km/hour in populated areas. 80 km/hour limit on gravel and 90 km/hour on paved roads in rural areas. Every one in the car are required by low of wearing seatbelt and younger children and infants have to be seated in a safety seats that suits their weight. The cars headlights must be turned on at all times when driving in Iceland, day and night. Driving under the influence of alcohol or drugs is illegal in Iceland. Use of mobile phone is also forbidden while driving. Off road driving in Iceland is illegal! Stay safe, this video goes through every thing that you should have in mind when it comes to safety on the road in Iceland. Most travellers choose to drive the ring road themselves on a rental vehicle. The ring road(Road 1) circles around Iceland along the coast and is in total 1.339 km or 832 miles and today the road is all paved. Majority of the ring road is only one lane, driving each way, with a very little chance of traffic. But to drive the whole ring road you need enough time. You don’t want to rush it and spend all your time in the car driving. The driver will get tired and that is the main reasons why MyCar Rental includes an extra driver in all rentals, for safety reasons. I recommend at least 7 days to really enjoy your ride around the country. All roads that are marked with “F”, mainly highland roads requires a 4×4 vehicle. You will always have to stay informed about the conditions of these roads if you tend to drive it. You can do that by looking it up on road.is or cal 1777. It is very important, the road might look good in the begging but the conditions of it could be extremely bad somewhere in the middle and the road might even be closed in the end. Remember to drive gravelled roads slowly and pay attention to what could be in your way. Large stones could hit under your rental car and damage it and that’s never covered by insurance in Iceland. Don’t forget to fill up the fuel tank before, there are not much of petrol stations up there. 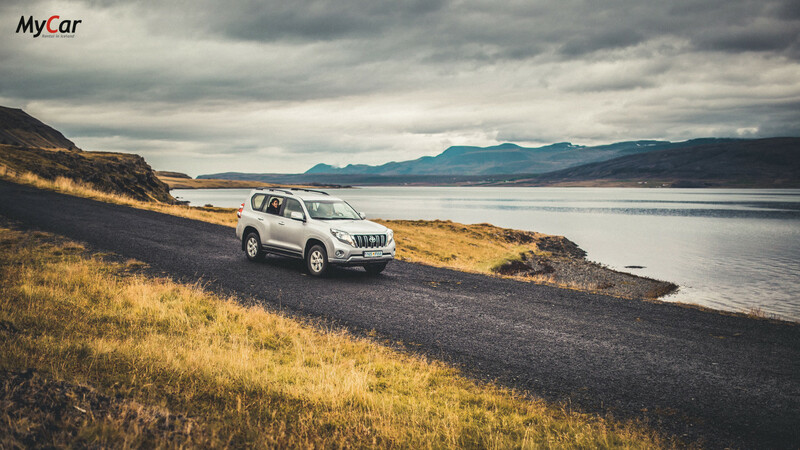 If you had in mind driving any of the F Roads you have to rent a 4wd car in Iceland. If you have no experience and don’t know exactly what you’re doing, don’t do it by yourself! Crossing rivers is a seriously business and those rivers that look calm and easy to cross can really be the most dangerous. So first of all, make sure the 4wd has been engaged, switch to low range if it’s optional, drive slowly and don’t switch gears. Second of all, if there is a possibility of crossing the river with someone with experience, follow him! When crossing river follow the torrent diagonally downwards, that allows you to use the torrent to help the vehicle through. The worst place to cross the river is where it’s most calm, the reason is because it’s the deepest part of the river.